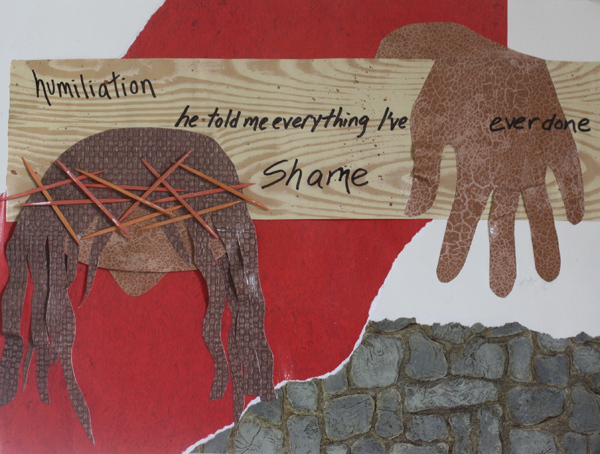 On Tuesday, April 2nd, Comunidad prays the Stations of the Cross. The Stations recall the Via Dolorosa, the path that Jesus walked on the way to His crucifixion. Along the way we reflect on our own journey as Gay and Lesbian Catholics. We will begin in the Fr. Gerald Meisel Parish Hall at 7PM with Stations following at 7:30PM in the Church. At the completion of the Stations, we will return to the hall for light refreshments per the Lenten season. All are welcome to share in this experience. Please join us. Our Annual Appeal is Underway. “Comunidad” means life shared together in the community. As a group of brothers and sisters, we seek to foster and encourage the full participation of Gay and Lesbians in: Spirituality — We believe that we are all precious in the sight of God. In Baptism, we proclaim a personal relationship with God, who accepts us as we are. “Comunidad” strives to help deepen this relationship by providing noted speakers, group discussions and prayer services within the context of the parish community. Ministry — Our deepening relationship with God is expressed in our changing human relationships that lead us to better serving our communities. Comunidad’s ministry includes welcoming Lesbians and Gays to a loving community. Comunidad invites all people to join us with the Catholic Church toward a healing of the body of Christ. Community — We gather socially to rejoice and celebrate. We acknowledge and share our giftedness - develop new relationships as well as deepen and renew existing ones. We journey and grow compassionately together through joint events, outings, and activities. Comunidad does not exact fees, dues or assessments on our membership. Comunidad’s sole source of support is our annual appeal. Can you help us announce to all who will hear that the People of God include LGBT community? If the answer is yes, please respond to our annual appeal letter. If you have not received our appeals letter, please consider making a donation by downloading our appeals letter and mailing it in along with your check or money-order to Comunidad. Our May Meeting: Cinco de Mayo Fun—Potluck and Lotería! 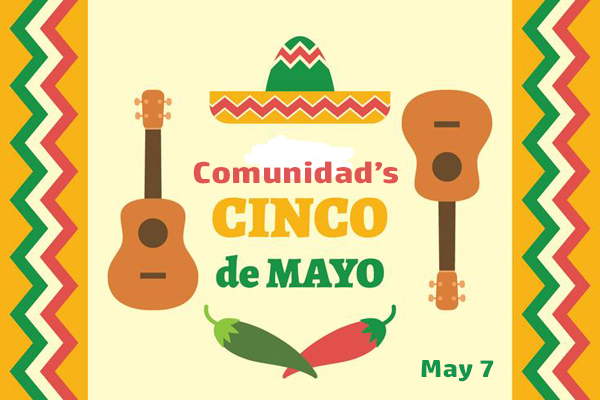 Come join us for our annual Cinco de Mayo celebration! Once again, generous patrocinadores (patrons) will be supplying wonderful platos principales (main course) and bebidas (drinks). If you’re able, please bring a acompañamiento or guarnición (side dish) or postre (dessert) to share with fellow partygoers (enough to serve, say, 4 or 6 people). If not, don’t keep that from holding you back from attending. Our handsome and decked-out bastonero extraordianorio (extraordinary Master of Ceremonies), Ray Ramirez, will entertain, first with the parade of the flags, and then, after dinner, as gamemaster for the main event, a lotería game. To help put you in the mood, take a look at these loteria decks! We’ve got other upcoming events, too! Since 1986 St. Matthew’s Parish has been blessed with a vibrant and welcoming outreach to lesbian and gay Catholics, which we call Comunidad. Our all-volunteer steering committee, whose members serve a one-year term, plans, with help from our general membership, interesting topical meetings and coordinates Comunidad’s other activities, which include food and monetary donations to those in need at Christmastime, support of the Long Beach AIDS walk, representaion at the Long Beach Pride festival, and an annual spiritual retreat that takes place in the fall. We also maintain regular contact and coordinate activities with similar ministries at other Catholic parishes in the Archdiocese, with other nearby churches of other faiths, and with regional and national coordinating organizations such as CMLGP (Catholic Ministry with Gay and Lesbian Persons).